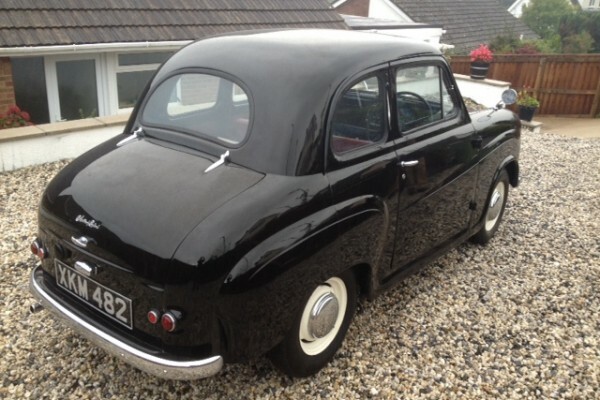 Austin A30 Saloon registered on 24/05/1956 and cherished for many many years by a Mr Broomfield who took the car to countless shows and events where it won several ‘best in show’ awards. 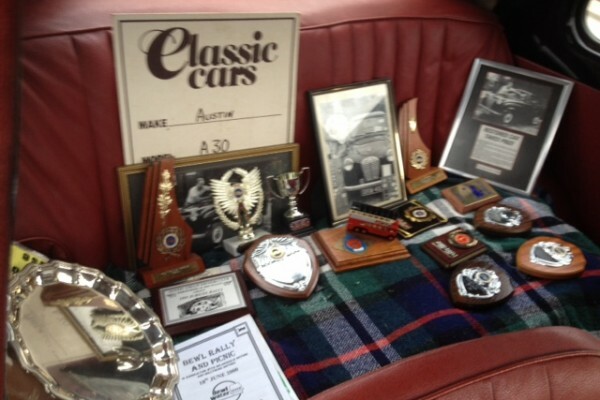 The vehicle comes with trophies, plaques and rosettes as well as photos of the owner attending said shows. 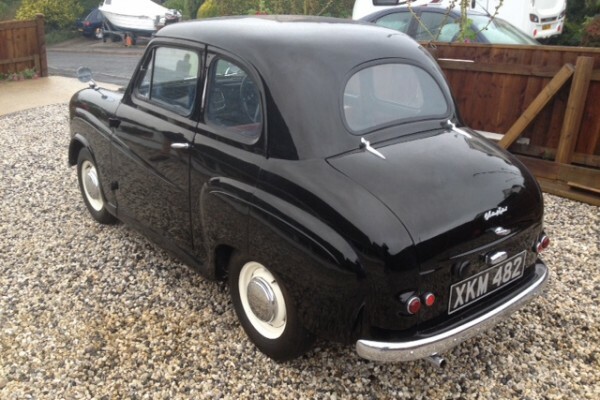 The car is still in fantastic condition and went on to become a car forming part of a private museum of classic British cars since 2004 when Mr Broomfield sold the car. 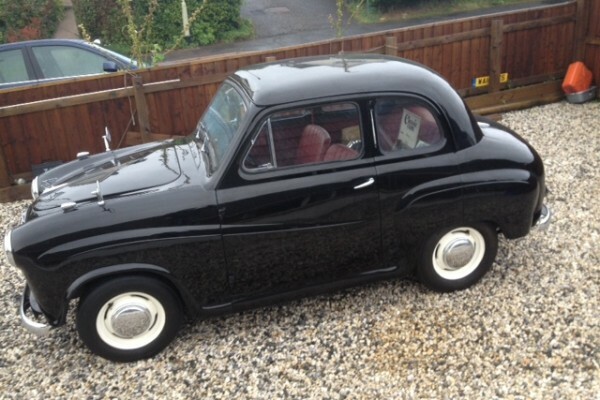 The car has a comprehensive history file containing newspaper cuttings, invoices, old tax discs and also a feature showing that the car was used in films. 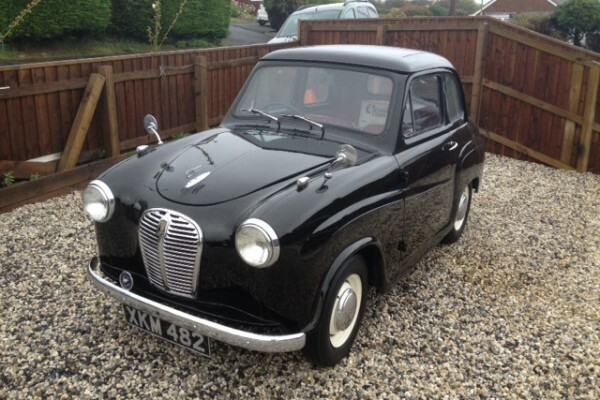 It also retains its original registration number. 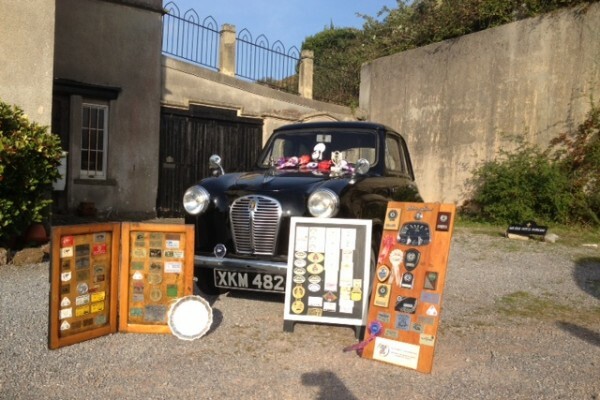 Mr Broomfield was a very active member of the A30/35 owners club and the car is very well known in these circles. 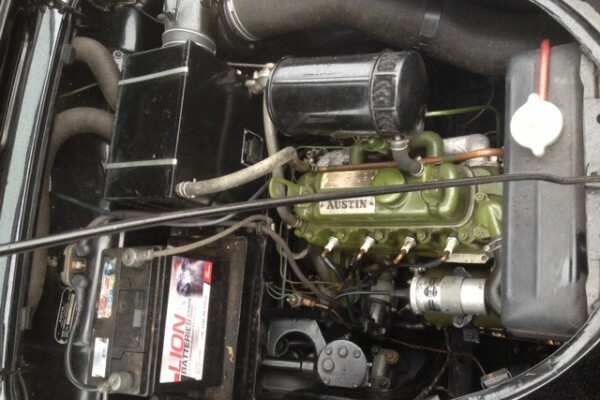 The milometer reads 89000 which is believed correct and the logbook states one previous owner from new, the car is also MOT and tax exempt. 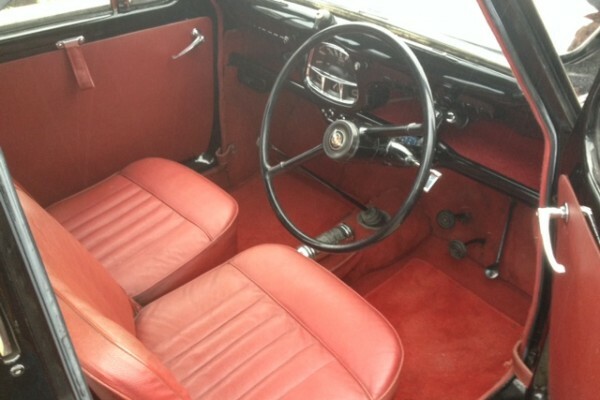 The bodywork is in excellent condition as is the red interior, as mentioned already the engine is strong and the four speed manual gearbox is smooth. All four tyres are in good order and the chrome bumpers and wheel trims are also in superb order. 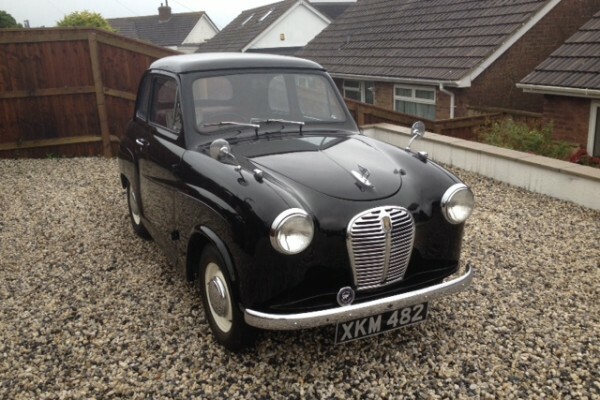 A fantastic little piece of 1950’s motoring history for a fraction of the cost of the equivalent early Mini… and much rarer too!